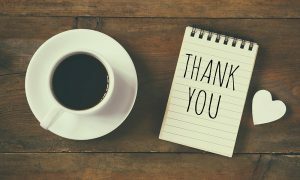 Both from personal and professional experience, learning and being able to use vocabulary is a vital component to having confidence and being successful in communicating in any foreign language. Therefore it is important to teach vocabulary well to help students acquire and use the language, as well as develop that confidence. I recently travelled to Spain and managed to communicate with hand gestures and the words I remembered from doing my GCSE in one year, in 2003. I didn’t need grammar, because I could communicate with the words I knew and recognised. However, I certainly would have felt more confident if I had had more vocabulary in my brain. 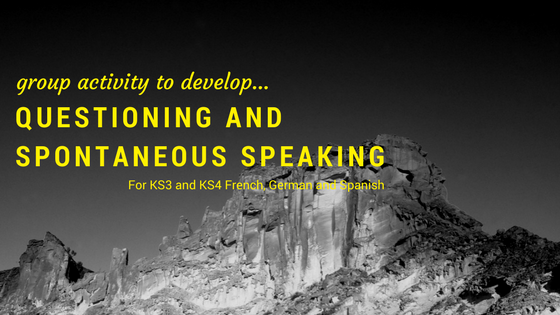 Hence, the reason for this post and the focus I feel that the ability to practise vocabulary should have in any language learning environment. 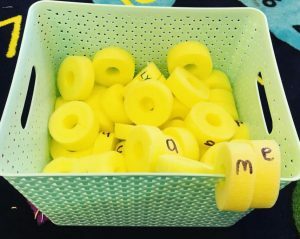 This post on ’10 Fun Ideas To Teach Vocabulary’ will explore effective methods to improve vocabulary acquisition, as well techniques that should be included to successfully teach words. 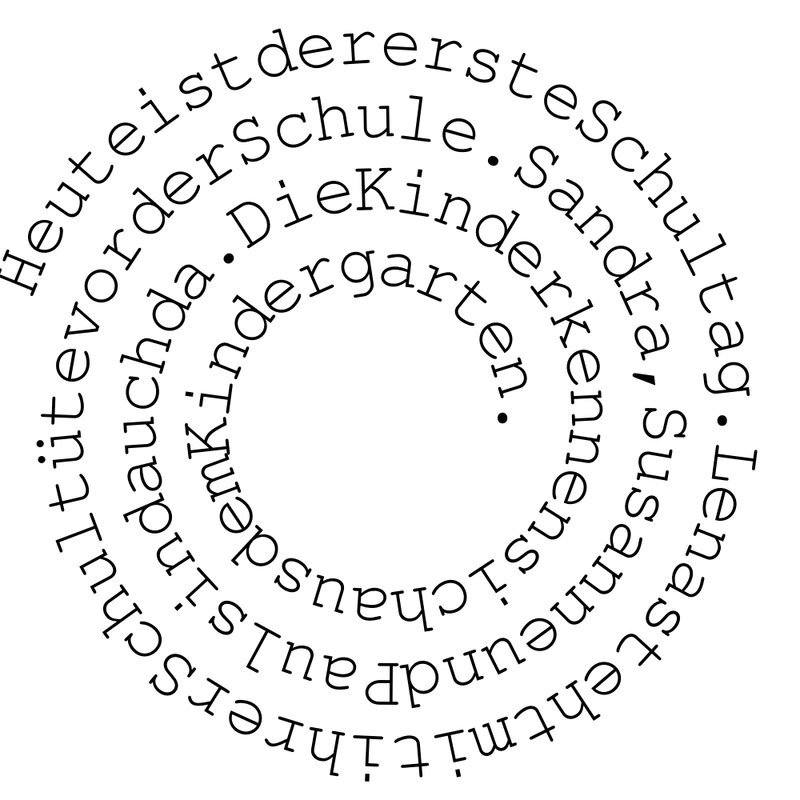 I will also present you with 10 fun ways to help students to learn words, whether this be in English, French, German, Spanish or any other foreign language! According to Wyner (2014), ‘to improve your vocabulary, you need to learn vocabulary’. Whilst this concept might sound self-explanatory, there are actually a number of approaches that could be taken to achieve this aim. Clark states that increasing vocabulary ‘does not begin and end with a work sheet on vocabulary’, whilst, Folse (2004), in contrast, believes that word lists or the use of translation, if used in moderation, are effective ways to learn new vocabulary. This begs the question, should we actually use vocab lists to teach lexical items? Graves (2016) suggests another way to build students’ vocabulary is to ‘immerse students in a rich array of language experiences so that they can learn words through listening, speaking, reading and writing’. In order to understand written or spoken language, students do not need to know the meaning of every single word they see (as is evident from my aforementioned trip to Spain), especially since a native speaker only tends to use around five thousand words in every day speech (Frost, 2004). Graves (2016) concludes that ‘explicit vocabulary teaching’ should be included in vocabulary instruction; meaning that a maximum of 4-5 ‘useful’ words should be taught at any one time, in order to ‘attack’ vocabulary acquisition. This could include using visuals, semantics or mnemonic strategies. Stewart (2004) is clear, however, that vocabulary is something that students must own. They need to have the opportunity to appreciate, be encompassed by, and truly see words for the dynamic presence that they hold. Giving students many chances to understand and use words will change the way they look at words, and open their understanding. In my classroom, I combine all of the strategies suggested above: vocabulary lists, activities around listening, speaking, reading and writing, as well as explicit vocabulary teaching. All of these methods allow my students the ability to develop their understanding of lexical items through repeated exposure and variety. I find that this works very well. In addition, I combine ‘fun’ ways of learning vocabulary, which can break up the monotony of traditional vocabulary teaching methods. Watch the video: Ten Ways To Learn Vocabulary In The Languages Classroom here, or read on to get the full details below! technology, numbers, directions and the time, for example. Get students to write down the vocabulary for any words they know first, then add more ideas in pairs and small groups and finally, complete the activity as a group. 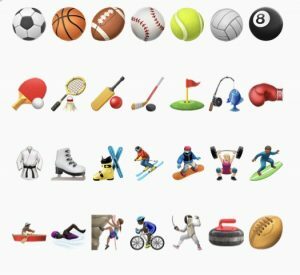 In order to do something with this vocabulary, ask students to write about the sports they and their friends/family like or dislike. 2. Odd One Out – this one pretty much does what it says on the tin. Choose four words related to the theme you are talking about, 1 of the words has to have an ‘odd one out’ element. 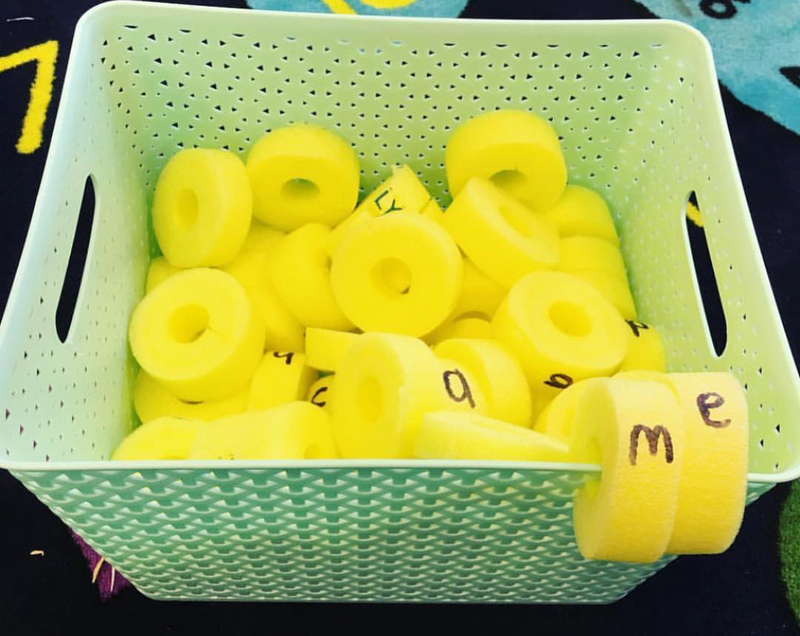 This activity works well as a starter to introduce a topic. 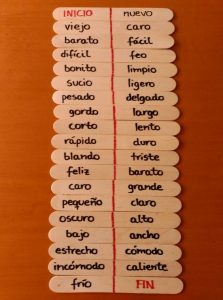 It can be used to teach new vocabulary, but is also a good method to recycle old vocabulary that will be used in the ‘new’ topic. Quite often, I find that different students will choose a different ‘odd one out’, to what I had originally considered. If this is the case, as long as they can justify their choice, in the target language, they should get the credit. as create sentences including new vocabulary or previously taught vocabulary. Using a dry-wipe marker means you can rub the words off once they have been used with one class, ready for a new set of vocabulary. 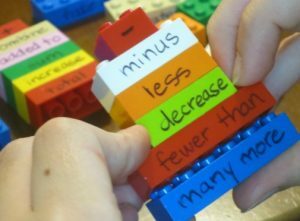 You could also use this activity with stickers on the bricks. An extension for this could be to create a story using vocabulary from X number of the lego brick blocks. Using lego bricks to teach vocabulary is very interactive and fun! 4. Post It Notes – Post it notes are very versatile when it comes to teaching and learning vocabulary. 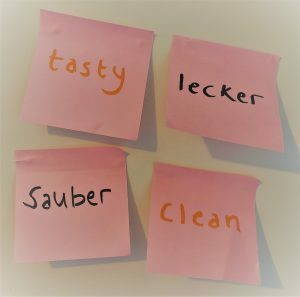 This picture was taken from a lesson revising adjectives and the English was written in one colour and the German in another colour. Students were asked to work in teams to match the adjective sets from around the room. The first team to match all sets in their area, correctly, was the winner. 5. 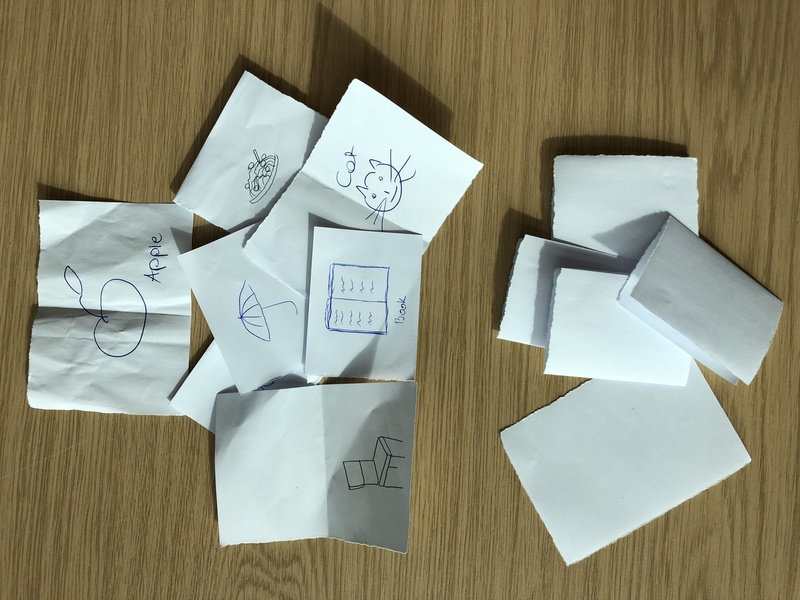 Pictionary With A Twist – A classic, fun classroom game, which is fantastic for revising vocabulary at the end of a topic. You need to put students in small groups of 3 or 4 students per table and have small pieces of paper cut out ready for them. Give students the instructions that they must each draw a different object, related to your chosen topic, on each piece of paper. I recommend getting students to do 3 or 4 each. Once drawn, each piece of paper must be folded in half and put in the middle of the table, ready for play. 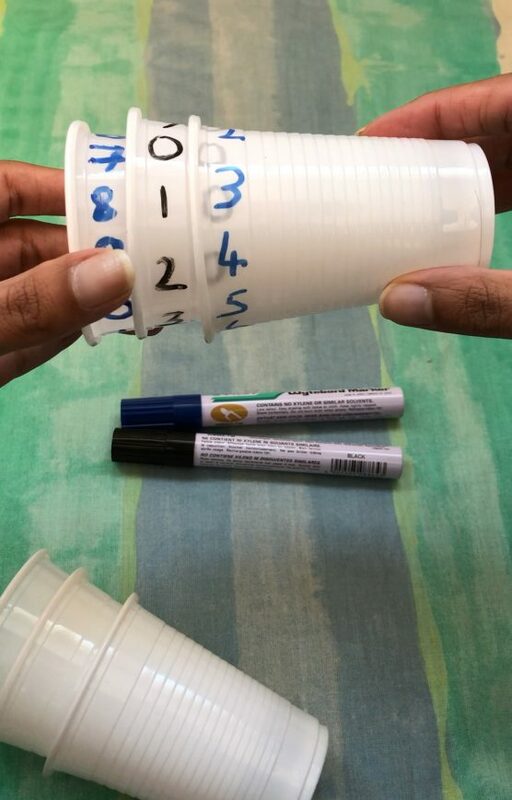 When you are ready, instruct students to take one sheet and describe it to the rest of the group in the target language, without saying the actual word. Whoever gets the correct word, gets to keep the sheet until the end of play, i.e. when you stay stop. The winner is the person with the most sheets at the end of the activity. 6. 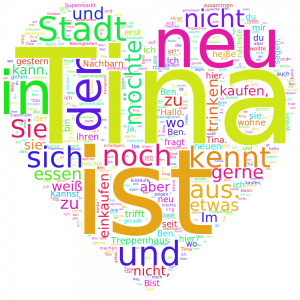 Word Clouds – One way I use word clouds to teach vocabulary, is by uploading a text in the target language and getting students to select words from the word cloud and make as many sentences as they can in the past, present and future. They get a point for the number of sentences their group believes they used accurately. The winner is the person with the most tally points at the end. This vocabulary activity is brilliant for recycling lexical items, but also for language production. p sticks. This is an example I recently found online with antonyms of adjectives. 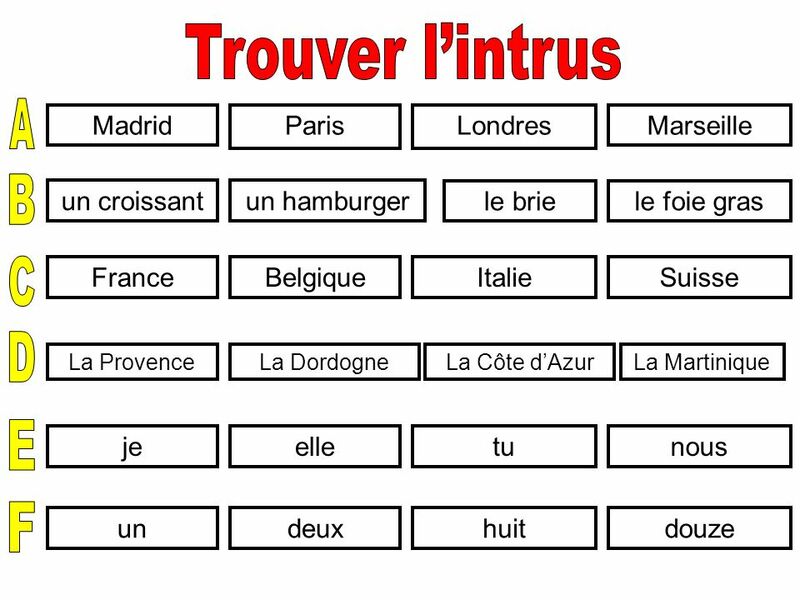 This type of activity could be used to revise previously learned vocabulary, combined with some new elements. It could also be utilised with one word on each lolly pop stick, around different themes and students have to categorise the word on each lolly pop stick based on topic. For example, you could write adjectives, nouns and verbs on the topic of ‘home’, which students must sort. 8. Randomised Vocabulary Lists and Highlighters – I am a list maker, so this activity comes very easily to me! I write a number of words on an A4 sheet which I photocopy. Each student must highlight all the words to do with ‘X’ in one colour and all the words to do with ‘Y’ in another colour. This normally includes recyclable lexical items which they have seen before, or which they can probably guess through strategies such as considering cognates. Students could also work in pairs to do the same activity. 9. Spongy Letters – or any letters, really. In this example, there are small sections cut out of a sponge tube. They have an individual letter written on each. 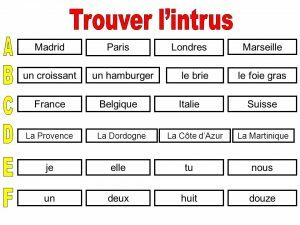 This activity can be used as revision, but also to see what vocabulary students already know, related to any given theme or topic. 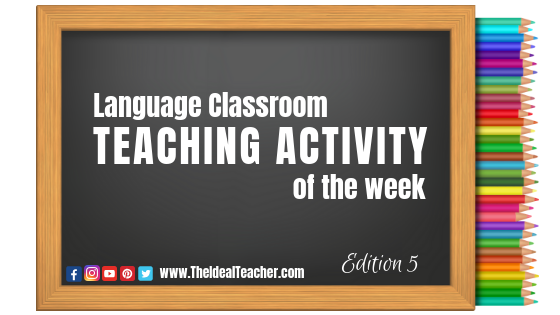 The aim of this activity is to create as many words as possible. 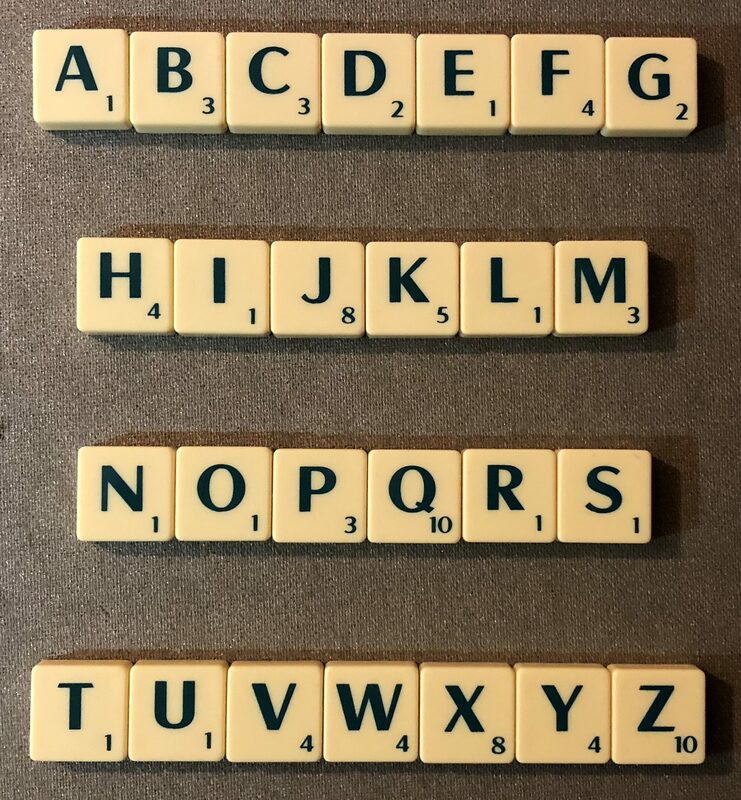 The letters used in these words will include 7 letters (that you, or the students have selected at random), as well as 1 extra letter that has also been selected at random, but which must be used in all words. I recommend a minimum of 3 letters per word, I advise that proper nouns are not allowed and that the teacher’s say is final when it comes to choosing a winner! into comprehensible elements. This could be done with a list of vocabulary around a topic, as well as with a long text which includes previously learned words. 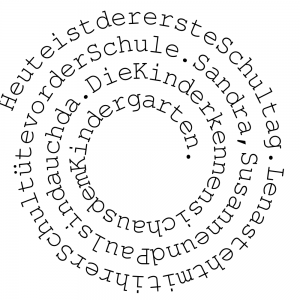 You could also add some new lexical elements for the students to look up, with the help of a dictionary, perhaps. I recommend the website: festisite to try this out. 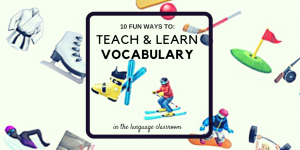 So… that’s ten fun ways to teach vocabulary in the language classroom. 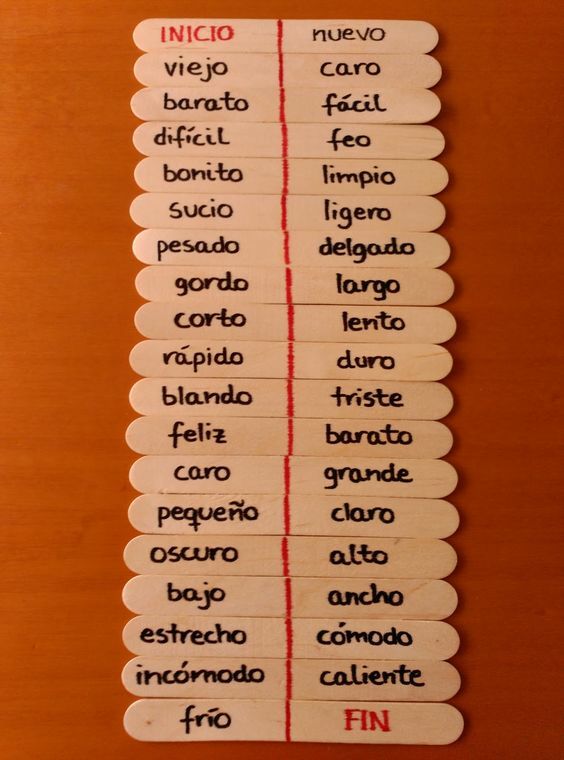 This is an extra fun way to learn vocabulary, just for you! 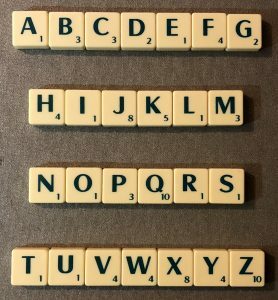 Vocab Scrabble – I mentioned vocabulary scrabble in a previous ‘tip of the week’ post and I highly recommend using this as a starter, in the middle or at the end of teaching a topic. You project the alphabetical scrabble pieces to the students and instruct them to make as many words as they can, on a topic of your choice. 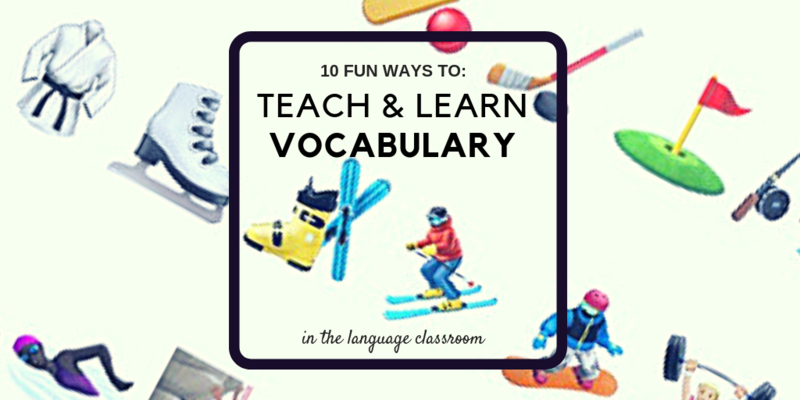 Which is your favourite ‘fun’ way to learn vocabulary and teach vocabulary in the classroom? I can’t really pick and I love combining all of them during each term!